Dual gauge regulator + NEW 3gal. Keg. This kit allows you to dispense, store and clean up with bulk efficiency. All components are heavy-duty, but simple to use. 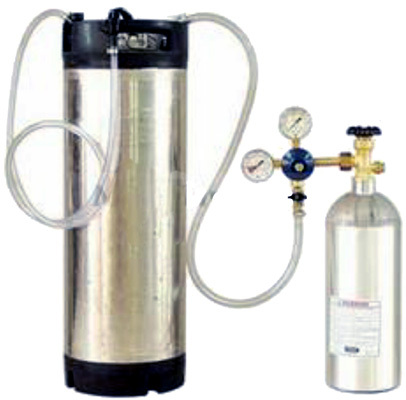 With this kit you will have everything that you need to dispense your very own home brew!